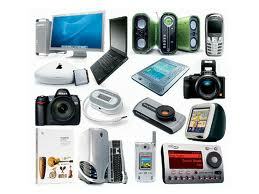 New Delhi:(Page3 News Network)-The Union Cabinet today approved the National Policy on Electronics 2012. The draft National Policy on Electronics was released for public consultation and it has now been finalized based on comments from various stakeholders. India is one of the fastest growing markets of electronics in the world. There is potential to develop the Electronic System and Design and Manufacturing (ESDM) sector to meet our domestic demand as well as to use the capabilities so created to successfully export ESDM products from the country. The National Policy on Electronics aims to address the issue with the explicit goal of transforming India into a premier ESDM hub. The strategies include setting up of a National Electronics Mission with industry participation and renaming the Department of Information Technology as Department of Electronics and Information Technology (Deity). The Department has since been renamed on February 26, 2012. The policy is expected to create an indigenous manufacturing eco-system for electronics in the country. It will foster the manufacturing of indigenously designed and manufactured chips creating a more cyber secure ecosystem in the country. It will enable India to tap the great economic potential that this knowledge sector offers. The increased development and manufacturing in the sector will lead to greater economic growth through more manufacturing and consequently greater employment in the sector. The Policy envisages that a turnover of USD 400 billion will create an employment for two million people. ESDM is of strategic importance as well. Not only in internal security and defence, the pervasive deployment of electronics in civilian domains such as telecom, power, railways, civil aviation, etc. can have serious consequences of disruption of service. This renders tremendous strategic importance to the sector. The country, therefore, cannot be totally dependent on imported electronic components and products. (i) To create an eco-system for a globally competitive Electronic System Design and Manufacturing (ESDM) sector in the country to achieve a turnover of about USD 400 billion by 2020 involving investment of about USD 100 billion and employment to around 28 million people at various levels. (ii) To build on the emerging chip design and embedded software industry to achieve global leadership in Very Large Scale Integration (VLSI), chip design and other frontier technical areas and to achieve a turnover of USD 55 billion by 2020. (iii) To build a strong supply chain of raw materials, parts and electronic components to raise the indigenous availability of these inputs from the present 20-25 per cent to over 60 per cent by 2020. (iv) To increase the export in ESDM sector from USD 5.5 billion to USD 80 billion by 2020. (v) To significantly enhance availability of skilled manpower in the ESDM sector. Special focus for augmenting postgraduate education and to produce about 2500 PhDs annually by 2020. (vi) To create an institutional mechanism for developing and mandating standards and certification for electronic products and services to strengthen quality assessment infrastructure nationwide. (vii) To develop an appropriate security ecosystem in ESDM. (viii) To create long-term partnerships between ESDM and strategic and core infrastructure sectors - Defence, Atomic Energy, Space, Railways, Power, Telecommunications, etc. (ix) To become a global leader in creating Intellectual Property (IP) in the ESDM sector by increasing fund flow for R&D, seed capital and venture capital for start-ups in the ESDM and nanoelectronics sectors. (x) To develop core competencies in strategic and core infrastructure sectors like telecommunications, automotive, avionics, industrial, medical, solar, Information and Broadcasting, Railways, etc through use of ESDM in these sectors. (xi) To use technology to develop electronic products catering to domestic needs, including rural needs and conditions, as well as international needs at affordable price points. (xii) To become a global leader in the Electronic Manufacturing Services (EMS) segment by promoting progressive higher value addition in manufacturing and product development. (xiii) To expedite adoption of best practices in e-waste management. (xiv) To source, stockpile and promote indigenous exploration and mining of rare earth metals required for manufacture of electronic components. (i) Creating eco-system for globally competitive ESDM sector: The strategies include provision of fiscal incentives for investment, setting up of electronic manufacturing clusters, preferential market access to domestically manufactured electronic products, setting up of semiconductor wafer fabrication facilities, industry friendly and stable tax regime. Based on Cabinet approval, a high level Empowered committee has been constituted to identify and shortlist technology and investors for setting up two semiconductor wafer manufacturing fabrication facilities. Based on another Cabinet approval a policy for providing preference to domestically manufactured electronic goods has been announced. Separate proposals have also been considered by the Cabinet for approval of Modified Special Incentive Package for the ESDM Sector and for setting up of Electronics Manufacturing Clusters (EMCs). (iii) Human Resource Development: The strategies include involvement of private sector, universities and institutions of learning for scaling up of requisite capacities at all levels for the projected manpower demand. A specialized Institute for semiconductor chip design is also proposed. (iv) Developing and mandating standards to curb inflow of sub-standard and unsafe electronic products by mandating technical and safety standards which conform to international standards. (v) Cyber security: To create a complete secure cyber eco-system in the country, through suitable design and development of indigenous appropriate products through frontier technology/product oriented research, testing and validation of security of products. (vi) Strategic electronics: The strategies include creating long-term partnerships between domestic ESDM industry and strategic sectors for sourcing products domestically and providing Defense Offset obligations for electronic procurements through ESDM products. (vii) Creating ecosystem for vibrant innovation and R&D in the ESDM sector including nanoelectronics. The strategy includes creation of an Electronic Development Fund. (viii) Electronics in other sectors: The strategy includes supporting and : developing expertise in the electronics in the following sectors of economy: automotive, avionics, Light Emitting Diodes (LEDs), Industrial, medical, solar photovoltaics, Information and Broadcasting, Telecommunications, Railways, Intelligent Transport Systems, and Games and Toys. (ix) Handling e-waste: The strategy includes various initiatives to facilitate environment friendly e-waste handling policies. The Electronics industry reported at USD 1.75 trillion is the largest and fastest growing manufacturing industry in the world. It is expected to reach USD 2.4 trillion by 2020. The demand in the Indian market was USD 45 billion in 2008-09 and is expected to reach USD 400 billion by 2020. Domestic demand is expected to be driven by growth in income levels leading to higher off-take of electronics products, automation demands of corporate sector and the government's focus on e-governance. The domestic production in 2008-09 was about USD 20 billion. However, the actual value-addition in the domestically produced electronic product is very low, ranging between 5 to 10 percent in most cases. At the current rate of growth, domestic production can cater to a demand of USD 100 billion in 2020 as against a demand of USD 400 billion and the rest would have to be met by imports. This aggregates to a demand supply gap of nearly USD 300 billion by 2020. Unless the situation is corrected, it is likely that by 2020, electronics import may far exceed oil imports. This fact goes unnoticed because electronics, as a "meta resource" forms a significant part of all machines and equipment imported, which are classified in their final sectoral forms, for example, automobiles, aviation, health equipment, media and broadcasting, defence armaments, etc. Electronics is characterized by high velocity of technological change. Consequently the life cycle of products is declining. As a result, the value of design and development in the product has increased quite significantly. Given India's growing strength in chip design and embedded software, the increasing importance of design in product development has potential to make India a favoured destination for ESDM. Electronic components, which are the basis of an electronic product, are low volume-low weight, cheap and easy to transport across the globe. Moreover, under the Information Technology Agreement-1 (ITA-1) of the World Trade Organization (WTO), which came into force in 1997, a large number of electronic components and products are bound with zero tariffs making trade unrestricted across international borders. Under the Free Trade Agreements (FTAs) and Preferential Trade Agreements (PTAs) with various countries, the import of electronics hardware from these countries is allowed either at zero duty or at a duty which is lower than the normal duty rate.